How GM wants to work with key suppliers • GM engineers and purchasing execs examine a supplier's factory and books. • GM and the supplier agree on a part's cost. • The supplier receives a no-bid contract. • Each year, GM and the supplier review data to find ways to cut costs. General Motors has launched a parts-buying program that forgoes conventional supplier bidding. Instead, GM inspects suppliers' factories and analyzes their internal cost data. Suppliers who agree to the procedure, dubbed the One Cost Model, get contracts for periods ranging up to the life of a vehicle. 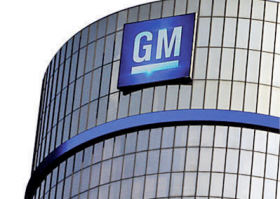 GM, in turn, doesn't seek bids from other vendors. GM will update its cost analysis each year to see whether the supplier can cut costs by more efficient production. In some cases, supplier contracts may skip annual price-downs -- price cuts that typically range from 1 to 4 percent. The One Cost Model is important because it can bring suppliers into vehicle programs earlier, enabling them to cut costs by optimizing a part's design and production. In turn, it enables GM to develop more realistic cost analyses for vehicle programs. But it requires a high degree of trust between GM and its suppliers, a quality in short supply in years past. GM explained its program during a Nov. 6 meeting with suppliers. Automotive News obtained a copy of the company's PowerPoint presentation. The program "can be used to jointly identify waste and continuous improvement opportunities," said Kim Brycz, GM's executive director of global product purchasing, in a May 4 written statement to Automotive News. GM has begun using it "with many of our suppliers as the foundation for new strategic sourcing awards." Brycz declined to discuss specifics, but a supplier familiar with the program confirmed key details outlined in GM's PowerPoint presentation. Purchasing chief Steve Kiefer has said GM doesn't want to revive battles with suppliers. Under the program, a supplier that wants GM's business agrees to let a team of GM engineers and purchasing executives evaluate the supplier's factories and cost data. That evaluation, which GM calls "activity-based costing," assesses material costs, labor, scrappage, production cycle times and other factors. GM meets with the supplier to discuss the evaluation and a potential agreement. If GM and the supplier can agree to terms, GM awards a contract and pledges to maintain the confidentiality of the supplier information it gathers. The process can take up to 20 weeks. Each year, GM and the supplier update the data to identify fresh cost-cutting opportunities. One company that has undergone the process is airbag supplier Takata Corp. As a member of the GM supplier council -- a group of CEOs and other executives from GM suppliers of various sizes -- Takata participated in the program late last year. "My experience has been positive," said Robert Fisher, executive vice president of TK Holdings Inc., the U.S. unit of Takata Corp. "We have been very transparent and gave them a lot of insight. So far, it's working well for both of us." But it's early, and suppliers want assurances that GM won't use the data to demand big price cuts, a tactic used in the 1990s by former GM purchasing chief J. Ignacio Lopez. "Some suppliers are apprehensive, some have jumped in and some appear to be in between," Fisher said. According to GM, former purchasing chief Grace Lieblein launched the One Cost Model in 2013, and her successor, former Delphi Automotive executive Steve Kiefer, continued it when he took the job in November. Since then, Kiefer has assured suppliers that GM does not intend to revive old battles over pricing. 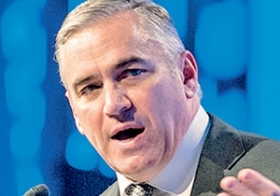 "There has been a lot of talk about our supply base making too much money," Kiefer said during a January presentation at the Automotive News World Congress. "I would say I disagree with that. I have no concerns with that. Having been a supplier, I know how hard it is making money in this industry." Kiefer has taken other steps to improve ties with suppliers. In April, he told reporters that GM had asked 30 major suppliers to boost production so that GM could produce more pickups and SUVs. In return, GM offered them component contracts for two vehicle generations -- a decade or so. Despite Kiefer's outreach, GM will have to work hard to gain suppliers' trust. In the past, GM sometimes demanded that suppliers match or beat the company's "China price" -- supposedly the lowest price in the world for any given auto part. For that and other reasons, GM has consistently scored poorly in annual supplier surveys conducted by Planning Perspectives Inc., a suburban Detroit consulting firm. Last year's survey ranked GM sixth in supplier relations among North American automakers, trailing Toyota, Honda, Nissan, Ford and Chrysler. Planning Perspectives is to publish a new survey this month. If GM stays true to its new program, a component's estimated cost will be "the product of negotiation," noted David Andrea, senior vice president of industry analysis at the Original Equipment Suppliers Association. Prices "cannot be dictated by one side or the other." But GM's new program lets the automaker cut costs in other ways. For example, the One Cost Model allows GM to get key suppliers involved earlier in a vehicle's design. By skipping traditional bidding, "you can source a part even before the design is completed," said Jeoffrey Burris, principal of Advanced Purchasing Dynamics, a suburban Detroit consulting firm. Early sourcing is an advantage because 70 to 80 percent of a component's cost is determined in the design phase, Burris said. So if an automaker conducts conventional bidding after the design phase, a supplier cannot easily optimize the part. According to Burris, GM's purchasing strategy echoes that of Honda Motor Co. Some parts makers also have used this concept -- which Burris dubs "open book costing" -- to consolidate their own supplier networks by choosing a limited number of long-term suppliers. Several of Burris' clients are participating in GM's program, but he declined to name them. Burris believes GM is committed to its One Cost Model. "I take them at their word that this is what they want to do," he said. "Having said that, getting an organization as large as GM to change is a difficult task."